"Young people need this play right now," says Chicago Children's Theatre Artistic Director Jacqueline Russell. "They need to learn that despite whatever is going on in the world around them that every child has the power to find courage, to recognize their potential and to share their own gifts." 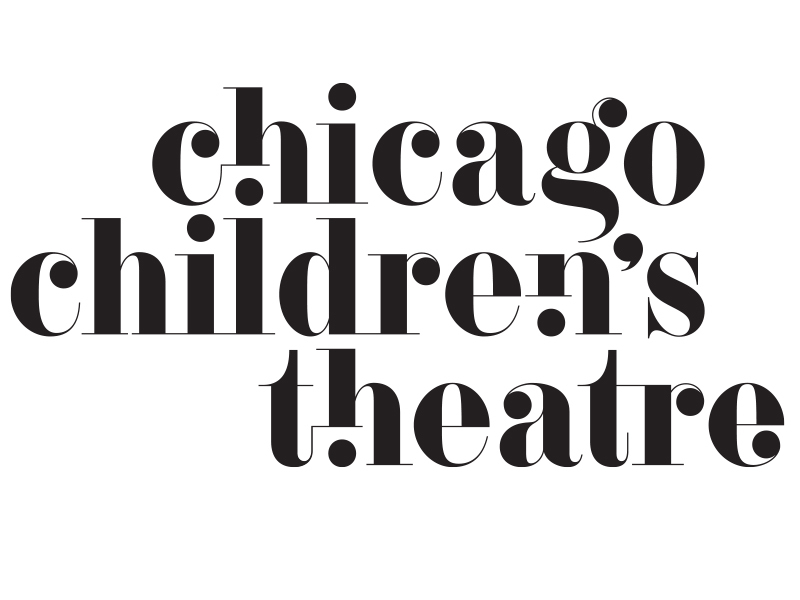 Here at ChiIL Mama, we've been ardent supporters of Chicago Children's Theatre since their inception. They consistently bring professional, high caliber productions to fruition, collaborating with Chicago's best and brightest. 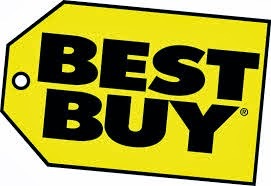 They are renowned for world class world premieres and never dumb down shows, because they're for children. We're very excited to see Jabari Dreams of Freedom, a story set in Chi, IL's own south side! We encourage our readers to book tickets in advance as these shows are likely to fill. 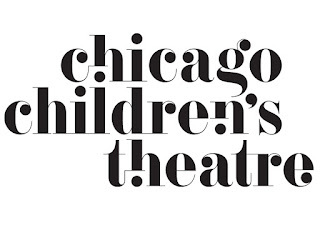 Disclosure: ChiIL Mama is pleased to partner up with Chicago Children's Theatre yet again. 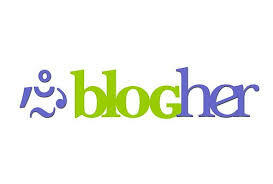 Thanks to CCT for providing complimentary tickets for our giveaway and for review purposes. As always, all opinions are my own. 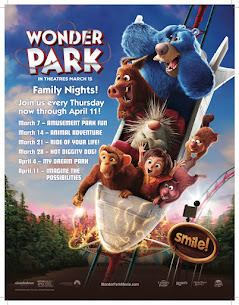 ENTER HERE for your chance to WIN a family 4 pack of tickets ($120 value) to opening day, Saturday 4/9 at 11AM! Enter through midnight 4/6. Recommended for ages 9+. Meet Jabari, a young boy from the south side of Chicago, scared and confused by the turbulent, sometimes unjust world around him. A gifted artist, Jabari escapes to the Civil Rights era through his colorful paintings where he interacts with children from the past - including a young Barack Obama. His poignant dreams of freedom empower Jabari to live courageously in the face of fear. Chicago Children's Theatre is excited to present the world premiere of Jabari Dreams of Freedom, a new play for young audiences by Nambi E. Kelley, the award winning Chicago actress and playwright, author of the acclaimed Native Son at Court Theatre, and star of Two Trains Running at Goodman Theatre. 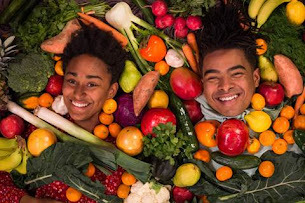 Filled with powerful, timely and uplifting themes and characters, Jabari Dreams of Freedom, created especially for Chicago Children's Theatre, is a love letter to the children of Chicago. 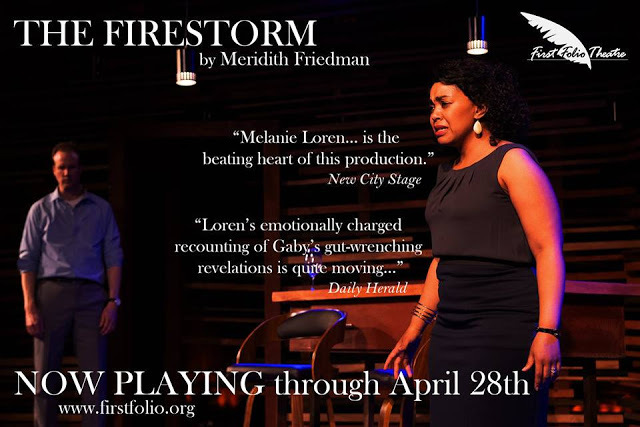 Performances are April 5-May 1 at the Ruth Page Center for the Arts, 1016 N. Dearborn St., Chicago. 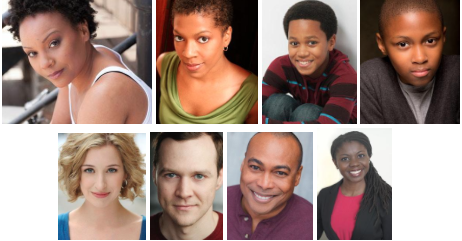 Philip Cusic and Cameron A. Goode rotating in the role of Jabari, with (bottom, from left) Damon Gillespie, Emily Glick, Matthew Keffer, Gavin Lawrence and Leslie Ann Sheppard. 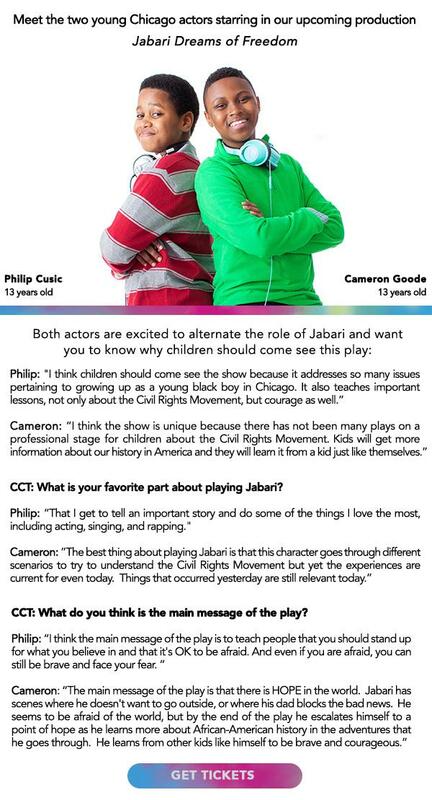 The cast boasts two young Chicago actors, 13-year-old Philip Cusic and Cameron A. Goode, also 13, rotating in the role of Jabari. Cusic performed in A Christmas Carol for two seasons at Goodman Theatre, and in Provision Theatre's The Best Christmas Pageant Ever and Pinocchio. Goode's credits include Oliver! at Drury Lane Oakbrook and Emerald City/First Stage's Rudolph the Red-Nosed Reindeer the Musical at the Broadway Playhouse. The production team includes Ashley Honore, assistant director; Jaret Landon, music director; William Bowles, set; Mieka Van der Plog, costumes; Nick Belley, lights; Toy Deiorio, sound; Michael Stanfill, projections; and Mealah Heidenreich, props. Production stage manager is Tina Jach. Assistant stage manager is Cara Parrish. 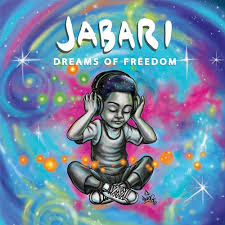 Jabari Dreams of Freedom is recommended for ages 9 and up. 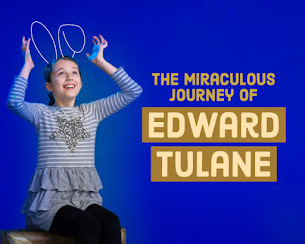 Previews are Tuesday, April 5 at noon, and Wednesday through Friday, April 6-8 at 10 a.m.
Chicago Children's Theatre performs at the Ruth Page Center for the Arts, 1016 N. Dearborn St., in Chicago's Gold Coast neighborhood steps from the Magnificent Mile. 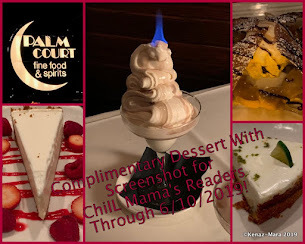 The Ruth Page is a short walk from the CTA Red Line Clark/Division and Chicago stops, and the Clark, Broadway, Division and Chicago Avenue bus lines. Street parking is available, and the Ruth Page offers discounted garage parking with ticket validation at 1250 N. Dearborn and 1030 N. State. 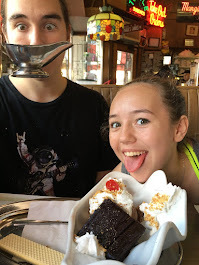 Nearby family-friendly restaurants include Epic Burger (40 E. Pearson), Lou Malnati's (1120 N. State), The 3rd Coast (1260 N. Dearborn) and Dave and Busters (1030 N. Clark). 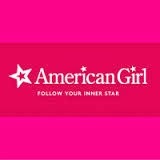 Lili-Anne Brown (director), a native Chicagoan, works as a director, actor and educator, both locally and regionally. 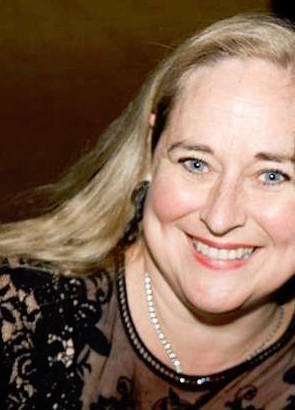 She is the former Artistic Director of Bailiwick Chicago, where she directed the Chicago premiere of the Ahrens & Flaherty musical Dessa Rose, for which she received the Joseph Jefferson Award. Other directing credits include Michael John LaChiusa's See What I Wanna See (Steppenwolf Theatre Garage Rep), the critically acclaimed Chicago premiere of Passing Strange (BTA Award for Best Director of a Musical, Jeff Award nomination for Best Director of a Musical), and the world premiere of Princess Mary Demands Your Attention by Aaron Holland, with Bailiwick Chicago; American Idiot at Northwestern University; On the Boards and Hearts of Darkness at Roosevelt University; and Hairspray, Unnecessary Farce, Cabaret, Sweet Charity, The 25th Annual Putnam County Spelling Bee and Buddy: The Buddy Holly Story, at Timber Lake Playhouse, where she is an Artistic Associate. She is a member of Actors' Equity Association and SAG-AFTRA, an associate of SDC, and a graduate of Northwestern University. Since its launch in 2005, Chicago Children's Theatre has cemented its reputation as the city's largest professional theater company devoted exclusively to children and young families. 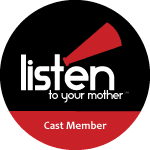 The company believes children should be treated as the sophisticated audiences that they are with high-profile and award-winning talent, inventive production values and compelling stories that challenge, educate and entertain. 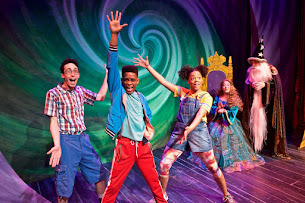 Chicago Children's Theatre evolved out of Chicago's need for high-quality, professional year-round children's programming to match the quality and significance of theatrical powerhouses such as Steppenwolf Theatre Company, Goodman Theatre and Lookingglass Theatre. Audiences have embraced Chicago Children's Theatre since its inaugural production, A Year with Frog and Toad, at the Goodman Theatre in 2006. 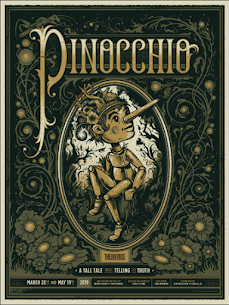 The company also has had a strong focus on new work producing ten world premieres including The Selfish Giant, The Hundred Dresses, Jackie and Me, Dot and Ziggy, The Houdini Box, The Elephant and The Whale (in association with Redmoon), Mr. Chickee's Funny Money, Leo Lionni's Frederick and Wonderland, Alice's Rock & Roll Adventure. These enjoyed highly successful inaugural runs in Chicago, followed by new productions at family theaters across the U.S. Chicago Children's Theatre productions feature everything from black-light scenery to live music to interactive four-dimensional sets to life-size puppets, and performances showcase the heart of Motown to Vaudeville to contemporary, current and modern styles. Chicago Children's Theatre also offers a full roster of after school theater classes and summer camps. It also honors a strong commitment to low-income families and children with special needs. In partnership with Chicago Public Schools and Target, the company has offered free tickets and transportation to more than 5,000 Chicago-area low-income students each season. 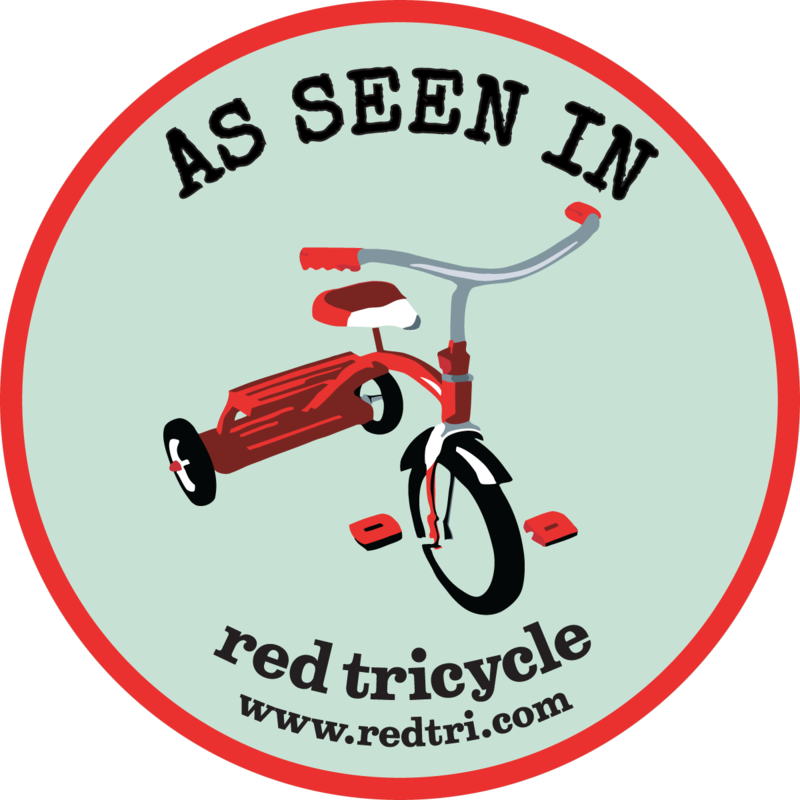 Meanwhile, Chicago Children's Theatre has pioneered immersive theater designed for children on the autism spectrum via its Red Kite Project, and recently expanded programming to address the needs of children with impaired vision or hearing and Down's syndrome. In December, 2015, Chicago Children's Theatre broke ground on the its first-ever permanent home - an adaptive reuse of the former, 12th District Police Station at 100 S. Racine Avenue in Chicago's West Loop into a beautiful, mixed-use performing arts and education facility designed to serve all Chicago families. Phase One, including a flexible, 149-seat studio theater for professional shows, student performances and Red Kite interactive theater for students with autism, plus a lobby, classrooms, support space and parking, will be finished next winter. Phase Two, to be completed in 2020, includes a state-of-the-art, 299-seat mainstage theater. Until then, the Ruth Page Center for the Arts remains the company's performance home. Led by Artistic Director Jacqueline Russell and Board Chair Todd Leland, the company is supported by a dynamic Board of Directors comprised of dedicated individuals from the fields of entertainment, philanthropy and business. Officers include Jeff Hughes, President; Lynn Lockwood Murphy, Vice Chair and Secretary; David Saltiel, Vice Chair; and David Chung, Treasurer. Chicago Children's Theatre is sponsored in part by ComEd, Goldman Sachs Gives and Target. Magic Tree House New Orleans was a fun play for all of us!